These clutches have a heavy-duty cover to minimize flex and ensure strength and stability; they're assembled with a ductile iron pressure ring and high-cone Belleville spring. 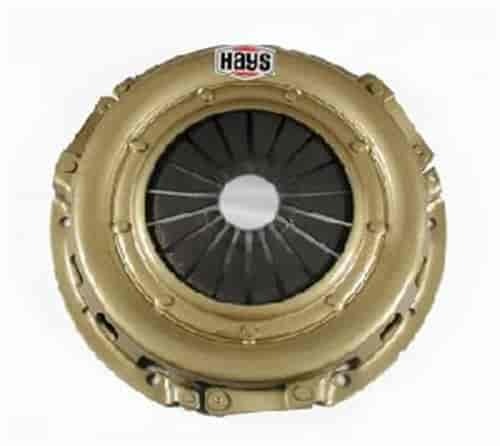 Hays Street/Strip Diaphragm Pressure Plates offer light pedal pressure and quick, clean release for precise gear changes with positive engagement to handle the horsepower of most high-performance vehicles. Get the combination you need for the performance you want! It's a select-it-yourself clutch package from the Hays Street/Strip Clutch line. Review the descriptions below to see which parts are right for your ride.